You can know immediately when things happen in your application. Engage users before they have a chance to report a problem. Spend more time where it matters, rather than investing into low-impact issues. Drop-in integration for more than a dozen platforms, including Python, PHP, Ruby, Node.js, and Java. 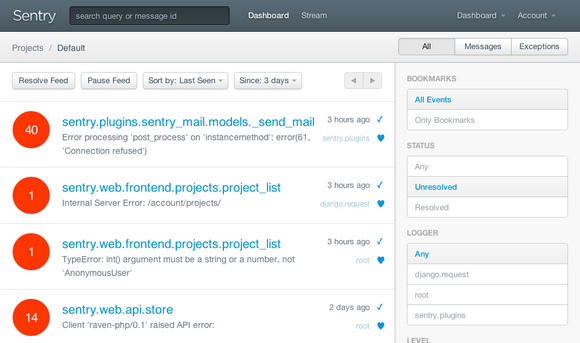 Sentry is open source software. You can grab the source code on GitHub.